As a senior-level executive you want to showcase your demonstrated leadership, skill and achievements, and thus, you need a resume that clearly highlights these qualities while also displaying your distinguished professional background and experience. At Sequence, our seasoned writers know exactly how to do this for you and to help you stand out on the written page. We will work with you directly to polish your personal brand, and in so doing, illustrate your core strengths and career accomplishments, and come to understand the position you are seeking. 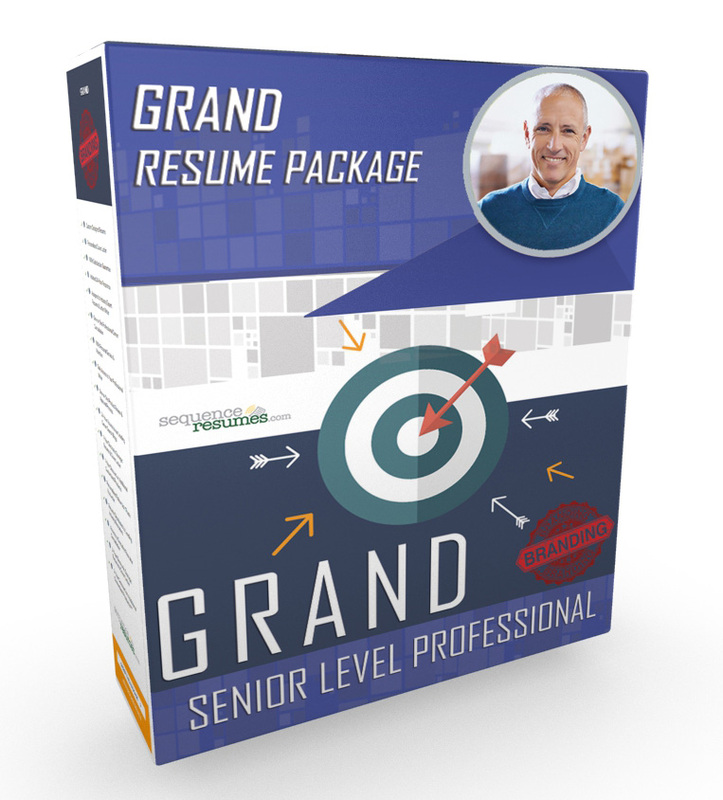 Then we will develop a customized resume package that presents you in the proper light – an accomplished leader who successfully seizes opportunities, consistently delivers results and is a true value-added proposition. The Grand Package offering is available to you for just $399.95.